Posted By:Unknown | At:9:06 AM Be the first to comment! 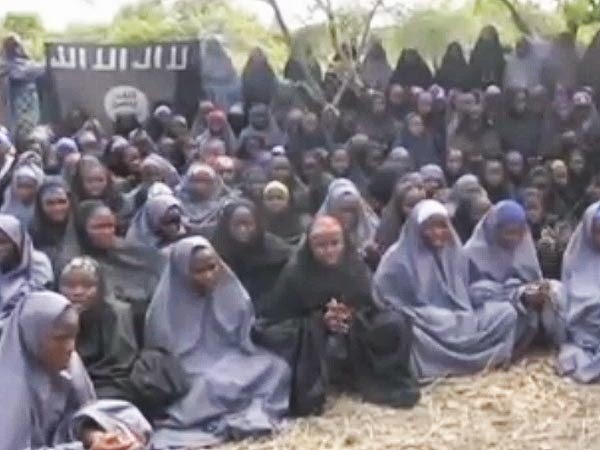 In a first purported sighting of the victims, a 27-minute video was released Monday by Boko Haram, the terror group claiming responsibility for the kidnapping of more than 250 Nigerian girls from the northern Nigeria town of Chibok on April 13. The video, released by the French news agency Agence France-Presse, purportedly shows about 100 of the girls in a nondescript area of the bush. They are wearing Muslim headdresses, and the terror group's leader, Abubakar Shekau, declares that they have converted to Islam, reports CNN. Shekau also says he is willing to exchange the schoolgirls for Boko Haram prisoners. While some of the abductees escaped shortly after their kidnapping, no others have been found. At least 276 girls remain missing.